The first important discovery in 2015 was… the wreck of Beagle-2. Designed and built in Britain, this Martian lander was the first European attempt to land on Mars. On December 19th 2003, 09:31 CET, ESA Mars Express spacecraft released Beagle-2 on a trajectory towards the surface of Mars. This was the last time anyone saw the lander. Scheduled contact attempt failed. Further attempts were made in the following weeks with no avail. 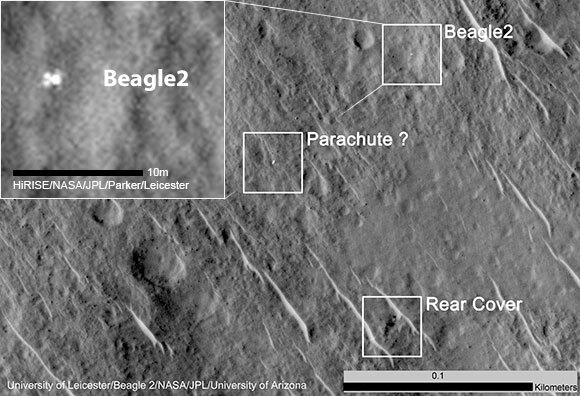 Over the years numerous photographs were made both by ESA and NASA orbiters, in hope of pinpointing the location and determining a final fate of a little Beagle. Over 11 years later Beagle-2 was spotted on a photograph from NASA’s Mars Reconnaissance Orbiter. During the mission, two out of the four solar panels aboard the lander failed to deploy, and in effect blocked the communications antenna from contacting the orbiter. So close, yet so far. While ESA nations took part in numerous NASA missions to Mars, both before and after Beagle-2, the next European Martian lander will be Schiaparelli, to be launched with Trace Gas Orbiter in March 2016. The first launch from the Guiana Space Center in 2015 took place on February 11th, 13:40 with a suborbital flight of the Intermediate eXperimental Vehicle (IXV) spacecraft. It was the fourth Vega launch, however it was the first time the new rocket carried a suborbital payload as well as the first time a Vega mission headed East instead of the usual North. This caused a range of safety concerns, delaying launch from originally planned 18th of November 2014 into 2015, and changing the trajectory to one with a dogleg manoeuvre and an initial heading shifted 3 degrees towards north to comply with French safety requirements. IXV’s flight was a phenomenal success. After launch from French Guiana, IXV was released at an altitude of 340 km and coasted up to 412 km, higher than the altitude of ISS, and descended towards the Pacific Ocean. Reentry began 64 minutes after takeoff with a speed of 7.5 km/s in conditions typical for a return from Low Earth Orbit. In the atmosphere IXV used its lifting body design and flaps to control descent, making it the first lifting body spaceplane to successfully complete an atmospheric reentry and the first lifting body to complete a spaceflight. Three minutes after reestablishing contact, at a speed of Mach 1.45 and 26km altitude, IXV deployed a pilot parachute which pulled out drogue chutes, it then deployed a subsonic chute and finally, at the speed of Mach 0.12 and 10km altitude – the 29.6 meter main parachute. When the IXV made contact with the water it deployed a floatation system – basically four air-filled balloons keeping the spacecraft afloat and stable until it could be recovered by the Italian multirole ship Nos Aries. IXV was riddled with sensors; from temperature, pressure, displacement, and strain, down to IR cameras, all specially designed to survive the extreme conditions of atmospheric reentry while taking very precise measurements. The first IXV mission conducted several important experiments related to reentry and flight control, allowing ESA to refine thermal protection systems, reentry simulations, effects caused by flap controls and thrusters in hypersonic flight, plasma effects on communication with reentering vehicles and much, much more. This mission also paved the way for the next flight in 2019 or 2020 with the objective of landing on the ground. The follow-up will be PRIDE – an evolved version of the IXV aimed at demonstrating a capability of cheap, reusable orbital spaceplane that will open a whole new horizon for the European science in space. 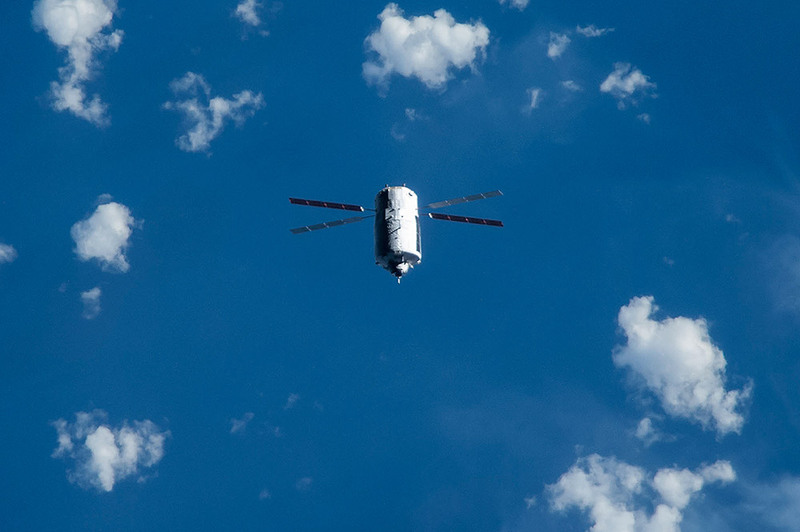 On February 15th, 18:04 GMT, the last Automated Transfer Vehicle, ATV-5 Georges Lemaître, broke up in the atmosphere ending the history of the largest and heaviest autonomous cargo vehicle ever to dock with the ISS. ATV-5 was the heaviest ATV to date, but also one that performed some really unique experiments. It demonstrated a set of rendezvous sensors, including the Laser Infra-Red Imaging Sensors (LIRIS), which were tested twice – once during a unique maneuver where the ATV flew under the ISS, and second during the docking itself. In future, LIRIS will allow spacecraft to rendezvous with non‐cooperative targets, such as space debris or satellites in need for a servicing mission, which are not designed with docking in mind. It did not all go without a hiccup however. Due to Russian Progress spacecraft docking on February 17th and a (non-critical) failure of one of the ATV’s four power chains, an originally planned shallow reentry experiment for the 27th of February had to be scrapped. During reentry, ESA conducted an additional experiment by collecting data from inside the ATV during its breakup in the atmosphere and then transferring it through the “black box” to the Iridium communication satellites – while the box itself survived the reentry, it transferred all the measurements (temperature, acceleration, and more) with exception of nearly 6000 photographs made by the Break Up Camera – the cause of failure remains unknown. While Georges Lemaitre was the last ATV – the legacy of these highly successful spacecrafts lives on. A test version of the European Service Module (ESM) was delivered to the US on November 30th. Rigorous testing will take place in NASA’s Plum Brook Station, Ohio. ESM will be used as a service module for the Orion spacecraft during its first Exploration Mission. Launched by SLS in September 2018, it’s going to supply power and propulsion for the unmanned flight around the Moon and back, testing the capabilities of Orion and SLS for future manned missions. The “Biomass” mission was given the green light on February 18th 2015 for a full implementation. Selected in 2014 to be the 7th Earth Explorer this satellite will be built around a P-band (approximately 69cm wavelength) Synthetic Aperture Radar (SAR) capable of measuring the average height of forests and the volume of biomass on the ground (hence the name). It will be unique in that it is the first satellite to use such a long wavelength SAR, opening multiple opportunities for additional science including studies of the structure of polar ice, or finding out what is hidden up to several meters below the surface of arid land. 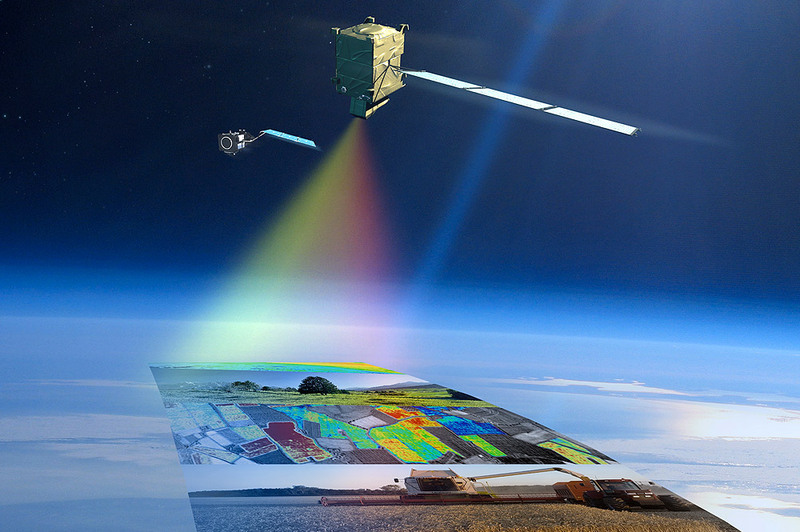 On the 19th of November 2015 a selection of the 8th Earth Explorer satellite was announced – the winning proposal is Fluorescence Explorer (FLEX), dedicated to studying photosynthesis from space. One of the lesser known side-effects of photosynthesis is that it generates a very, very faint red light, making plants fluorescent. So far no sensor has been able to measure this light from space. However, in 2012, a completion of over 100 airplane flights with a prototype European imaging spectrometer on-board, opened a new perspective for measuring plant stress levels, productivity, health and much more. The FLEX launch is planned for 2022 and the satellite will work in a tandem with one of the Sentinel-3 satellites which will provide complementary data for the mission. Meanwhile, looking even further into the future, a ninth Earth Explorer mission call for proposals was announced on the 23rd of November 2015. An initial deadline for the letter of intent was set to February 1st 2015, while complete proposals have to be sent by the 24th of June. No date by which the initial selection would be completed was released, so it’s hard to tell when we might know more details about the future spacecraft or what scientific questions it might answer. The European Space Operations Centre confirmed that it received a signal from Philae, first time since entering hibernation after depleting its batteries in November 2014. Initial contact, lasting only 18 seconds, was established on June 13th at 22:28 CEST, followed up by a few additional contacts in the following weeks. So far no additional science data was sent, only housekeeping information about the lander itself, which suggested that Philae had slightly moved since the science period. It is estimated that by the end of January, temperatures on the surface of the comet will drop so low, that Philae will freeze over, effectively ending any further windows of opportunity for contacting the lander. On January 10th, Rosetta will send a command to Philae switching on its reaction wheel in a hope of moving the lander and shaking off the dust from the solar panels. With this last ditch effort, scientists hope that they will manage to communicate with the lander and – if all goes well – obtain some additional scientific data. See the Rosetta blog and our coverage of the Rosetta mission and a more details about the first Philae awakening. 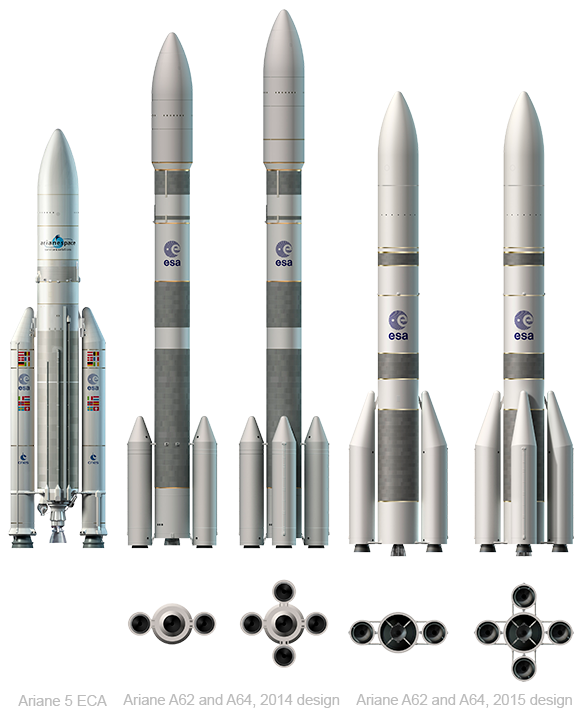 On August 12th 2015 Airbus Safran Launchers was awarded the contract for the development of Ariane 6, while Italian ELV SpA was awarded a contract for Vega-C, which will be using a single Ariane 6 solid rocket booster as a first stage. This would entail a 50% increase in performance and lower cost for both programmes. A third contract signed on that day was with the French space agency (CNES) for the construction of the Ariane 6 launch pad – it will replace an abandoned Ariane 4 pad and allow both Ariane 5 and 6 to be operated at the same time, minimizing risks for the industry. The Launch pad will be completed by late 2019. Meanwhile, during the Paris Air Show, Airbus Defence and Space presented Adeline (Advanced Expendable Launcher with Innovative engine Economy). This addition to the main stage of a liquid-propelled rocket, will allow reusing pricey components of the launch vehicle. Being essentially an Unmanned Ariel Vehicle (UAV) containing avionics and an engine of the launch vehicle, it would separate once the main stage fuel is depleted. After reentering the atmosphere it would fly back using two turboprop engines and land on an airport runway much like an airplane. Discarding cheap but bulky and relatively heavy fuel tanks used by the main stage, allows Adeline to maximize launch vehicle performance as the main stage doesn’t have to carry any additional fuel for landing and doesn’t have to be built to survive the reentry. It also has the inherent advantage of saving costs, even with a low amount of flights per year, which is not the case for a re-usability of a whole lower stage. With between six and seven Ariane 5 launches per year this solution might be hugely beneficial for the European space industry. Adeline is also being developed with flexibility in mind, making it possible to use the concept with nearly any launch vehicle that’s using liquid main stage, regardless of the propellant. During the Show, Airbus DS presented two test scale models that were used for test flights, validating the concept; a mock-up of Adeline on a launch vehicle and a 1:1 blow-up model. The company has been working on this concept since 2010, and while at the moment primary focus is on Ariane 6 development – it hopes that it’ll be able to fly Adeline by 2025. Another successful Vega launch took place on June 23rd, 01:52 GMT, lifting Sentinel-2A satellite to the Sun-synchronous orbit. It’s the second Copernicus satellite launched to date, one dedicated to observations in the visible and infrared spectrum, ESA is calling it a “color vision for Copernicus”. The first image was acquired just four days after launch – a 290 km wide stripe went from Sweden through Central Europe down to the Mediterranean and Algeria. Data is being acquired through X-band dishes in Matera Space Centre, Italy and Svalbard Satellite Station, Norway with the Maspalomas Space Station, Canary Islands, Spain, being prepared for receiving data from Sentinel-2A starting in the first quarter of 2016. When on ground, raw data is transferred to the Payload Data Ground Segment (PDGS) where it’s processed and delivered as images to the publicly available online archive. Throughout 2015 ESA opened access to the new sets of data, the last one – Level-1C (basically photographs covering 100 km2, including clouds) – was published in December. 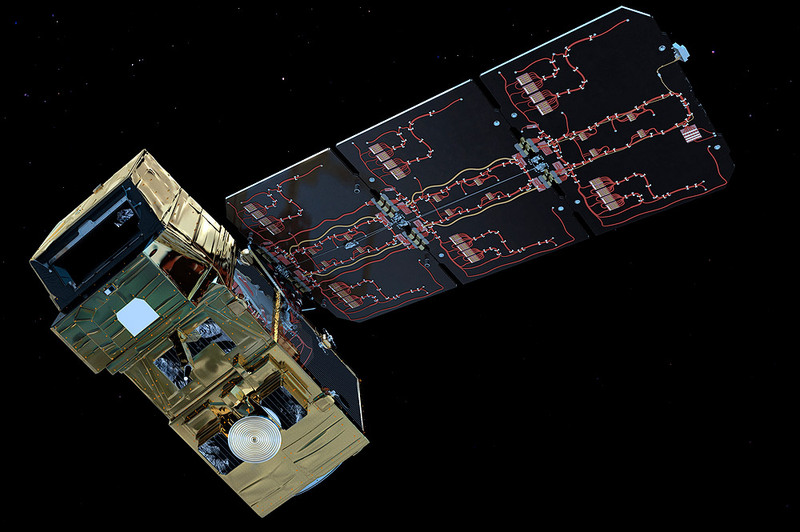 The twin brother of this satellite, Sentinel-2B, will be launched in late 2016. Meanwhile, the next Sentinel launch will be Sentinel-3A, to be launched on a Rockot launch vehicle with a launch campaign to be resumed on January 11th 2016 and launch planned for February 4th 2016. See the Sentinels website and our article with more details about Sentinel-2. In June ESA announced the development of the European Ground Systems – Common Core (EGS-CC), successor to the Spacecraft Control & Operations System (SCOS-2000) designed to become a Europe-wide standard for mission control and monitoring of the space systems for both national space agencies and the industry. The Development contract was signed on the 22nd of June, while the deployment will begin in 2017. It will begin a new era for Europe unifying key components of the software environment for ground segments of space missions, lowering costs, and minimizing risks. While not important for people not working directly on space missions – it’s an important change that will benefit ESA in years to come. The third Vega launch this year took place on December 3rd 2015, 05:04 CET – 100 years and one day after the publication of Albert Einstein’s General Theory of Relativity which predicted the existence of gravitational waves. 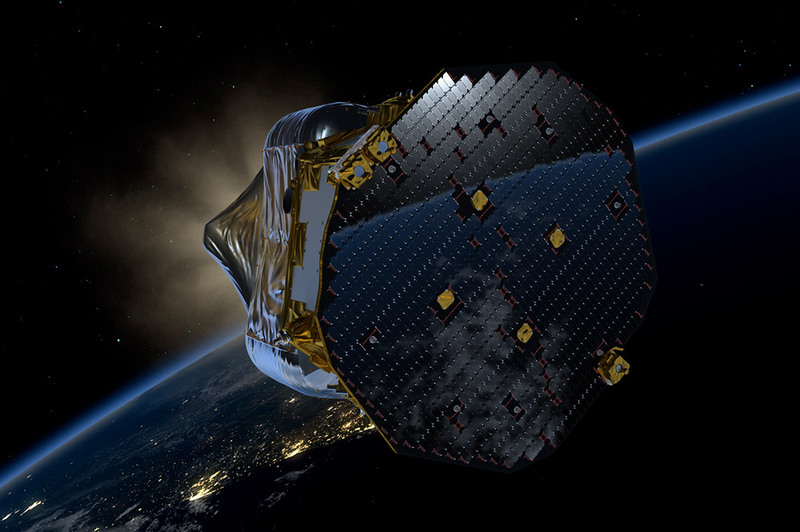 Hidden within the Vega fairing, was LISA Pathfinder, the technology demonstrator designed to pave the way towards the construction of the first ever gravitational wave observatory – eLISA (evolved Laser Interferometer Space Antenna), a detector composed of 3 identical spacecraft keeping masses in a free-fall and hopefully – detecting movement of these masses caused by gravitational waves. This would mark the first ever detection of this phenomena, that have proved to be amazingly difficult to detect. The science phase of LISA Pathfinder will begin on the 1st of March, with a few preceding events: On January 11th the laser system will be turned on. On January 22nd the propulsion module will release the spacecraft on its way towards the First Lagrange Point (L1), on February 15th the test mass 2 will go into a free fall, and a day later – test mass 1 will do the same. This launch of Vega marked a completion of the Vega Research and Technology Accompaniment (VERTA) programme, validating a new European launch vehicle under various different mission profiles. In 2016 Vega will begin commercial operations through Arianespace. A first launch is planned for July with a double payload of PeruSat 1 and SkySat x4 to a Sun-Synchronous Orbit (SSO). The second year of Galileo deployment continued as scheduled with three successful Arianespace Soyuz launches from Kourou: VS11 on March 27th, VS12 on September 11th and VS13 on December 17th, which also marked the last Arianespace mission in 2015. Though such long designations are very rarely used if ever, instead they’re simply numbered: FOC Sat 7 to 12, where FOC stands for Full Operational Capability. To date 6 FOC satellites were launched – numbering up to 12 includes also 2 initial GIOVE satellites and 4 follow up IOV satellites. Deployment will continue throughout 2016, introducing Ariane 5 ES which will boast a new adapter allowing for a launch of four satellites at a time, instead of the usual two with Soyuz. In effect, deployment of the remaining of the constellation will significantly sped up in following years. 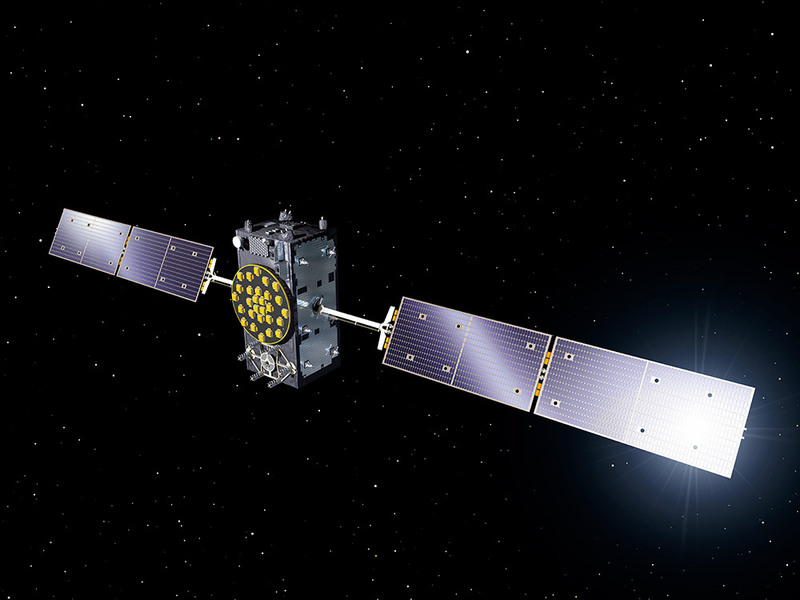 ESA and the European Commission opened a bidding for 8 additional satellites in December for the goal of 30 satellites by 2020. Of course we won’t have to wait the next four years for the service – initial services (eg. for Search & Rescue) will be made available by the end of 2016, with further services added until 2018. Euclid space Telescope passed a preliminary design review in December, which paves the way towards building the telescope for a planned launch in December 2020. The main goal of Euclid is to study the nature of elusive dark matter and dark energy, which compose a majority of the universe, yet a deeper understanding of its nature eluded the grasp of scientists ever since dark matter was theorized in the ’30s. On December 9th ESA signed a contract with Airbus Defence & Space for building Jupiter Icy Moons Explorer (JUICE), the first large (L1) mission in the Cosmic Vision programme. Spacecraft will be launched in 2022 and perform multiple flybys of the moons Europa and Callisto from 2030 as well as enter the orbit of Ganymede in 2032. Atmospheric Remote-Sensing Infrared Exoplanet Large-survey (ARIEL) will observe known transiting exoplanets (mostly hot gas planets) using an infrared spectroscope and photometric bands to greatly expand our knowledge of these bodies and the formation of star systems, including our own. Turbulence Heating ObserveR (THOR) will be the first mission ever dedicated to study the plasma turbulence which leads to the heating and an acceleration of the plasma particles, which will deepen our understanding of the most common state of matter. X-ray Imaging Polarimetry Explorer (XIPE) will be the first space observatory dedicated to observing the polarization of x-rays, giving astronomers a whole new way of seeing the universe. In early 2016 ESA will open a call for next, M5, Cosmic Vision mission, to be launched in 2029-2030. During the biannual Paris Air Show it was announced that Arianespace shares owned by CNES will be sold to the new joint venture Airbus Safran Launchers that will undertake the production of Ariane 5 and development of future Ariane 6. An important step which makes Airbus Safran Launchers a key player in the commercial launch market, but also put much more responsibility in the hands of a private company than was the case before. Meanwhile, by the end of the year Arianespace also scored a highly successfully overall result, completing in total 12 launches without any failures, matching the goal set at the beginning of the year. Completion of the VERTA programme will open doors to commercial utilization of the smallest European launch vehicle in 2016, with already booked 9 out of 10 launch vehicles ordered in 2014 for the coming years. Despite harsh competition from other launch providers – Arianespace managed to win over 50% of the commercial market share (by value). While an official revenue report will be known later on in the year, it’s estimated to be even higher than in 2015, when Arianespace reported a record-breaking revenue of €1.399 billion, an increase of 41% from 2013 result. But 2015 was unique for another reason – the company took the highest order intake since its creation in 1980 – €2.4 billion.